Crabtree Brands, which includes Silver Creek Angus and ChocMo Chocolatier and Cafe will be our Community Partner through 2018! Throughout the year these businesses will be working together with Fishline to help feed our neighbors in need! 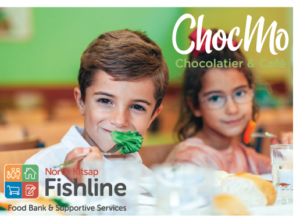 Read more below about the ways that these great businesses are supporting Fishline today! 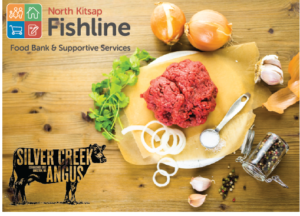 For every 10 (one pound) packs of ground beef sold, Silver Creek Angus will donate one pound to Fishline. Purchase beef at either of Retail marketplaces located inside High Spirits & Viking Feed; Or order beef online by visiting our Online Marketplace. 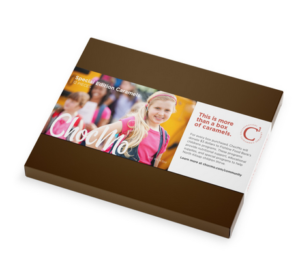 Purchase a box of ChocMo Special Edition Caramels. $3.00 from each box sold will be directed to Fishline’s Children Services programs. This item is currently available for pre-order but will be available in the store soon. Whether you dine in at ChocMo or order online, they will donate $2.00 for every order of our Veggie “Pasta”. These funds will go toward Fishline’s Healthy Table Program, which helps them keep fresh produce, dairy, and eggs available to their clients.